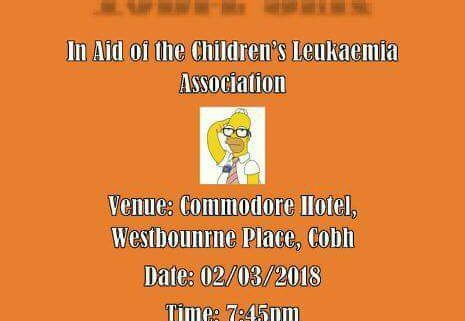 We would like to thank the Burke Family for running a highly successful quiz night in the Commodore Hotel in Cobh, Co Cork. 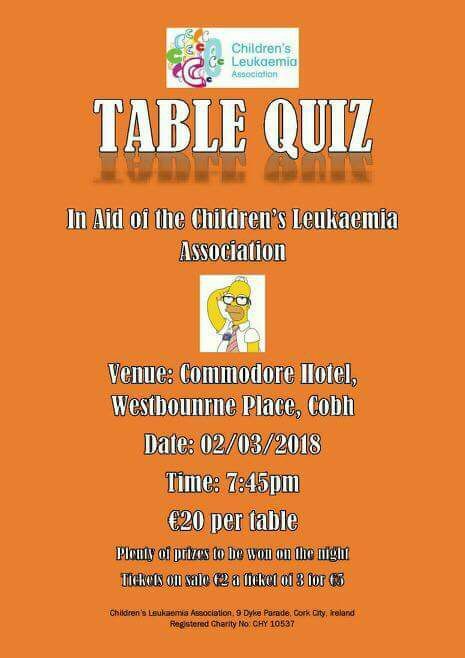 The quiz was scheduled for Friday 2nd March, however the down pour of snow that week required the quiz night to be postponed until the following Friday 9th March. Jess and Steven Burke held a great night of questions and answers and entertained the crowds that resulted in a very successful fundraiser all in aid of the Children’ Leukaemia Association. 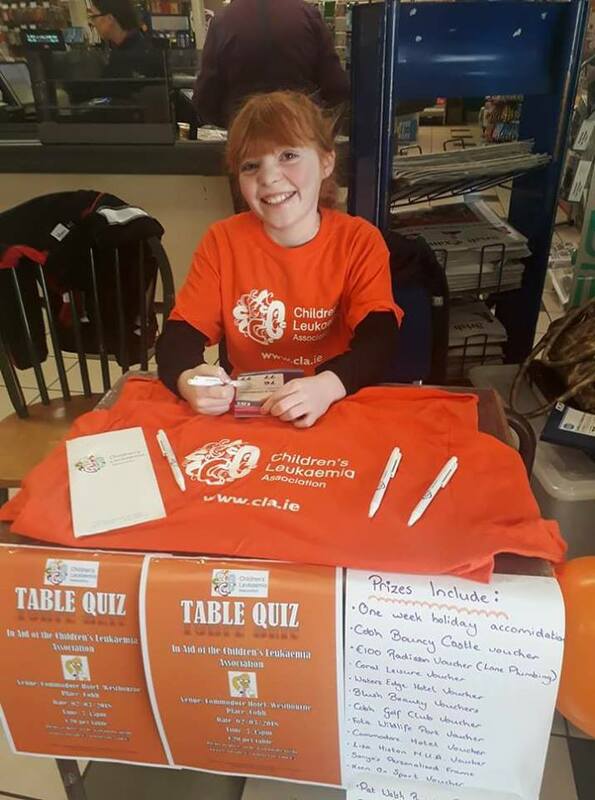 This is the 2nd year of the Table Quiz and because of the organisational and marketing skills of Jess, Steven and their family the quiz is growing from strength to strength. Thanks to all who supported and took part on the night.